Rear Window (1954) is one of the Alfred Hitchcock-directed films airing on TCM this week. It stars Grace Kelly and James Stewart as a couple who spy a murder through an apartment window. Every Wednesday and Friday in July, TCM is airing a marathon of movies from English director Alfred Hitchcock (there's an indepth guide below). There's also a daytime lineup of horror movies and an evening of films from star of the month Ronald Colman. Birthday tributes: Natalie Wood on Thursday. Noir Alley: Dancer Susan Hayward tries to clear sailor Bill Williams of murder in the RKO Pictures B movie Deadline at Dawn (1946) at 10 a.m. Watch this one for the snappy wisecracks courtesy of screenwriter Clifford Odets and Nicholas Musuraca's atmospheric cinematography. TCM Essentials: Bette Davis plays flamboyant theater star Margo Channing in the all-star backstage drama All About Eve (1950) at 8 p.m. Saturday. Silent Sunday Nights: A restored version of the Howard Hughes-produced potboiler The Mating Call (1928) at midnight. This film concerns a World War I veteran (Thomas Meighan) who returns from battle to find that his wife (Evelyn Brent) has taken up with another man (Alan Roscoe). TCM Imports: German director Wim Wenders' meandering science fiction/road trip film Until the End of the World (1991) at 2 a.m. The rather dense plot is difficult to summarize, but it involves bank robbery, the CIA, a dream-translating machine, and William Hurt. If that's not enough for you, there's also a damaged Indian nuclear satellite that may crash to earth and end civilization. Best Day to DVR: Both Wednesday and Friday's Hitchcock programming. 50 Years of Hitchcock Wednesday: TCM is giving viewers an unprecedented opportunity to watch more than 40 films from the master of suspense throughout July. Since there's so much worth watching I'll add two special sections this month. Wednesday's lineup features five Postwar films that feature the master of suspense experimenting with film noir style. 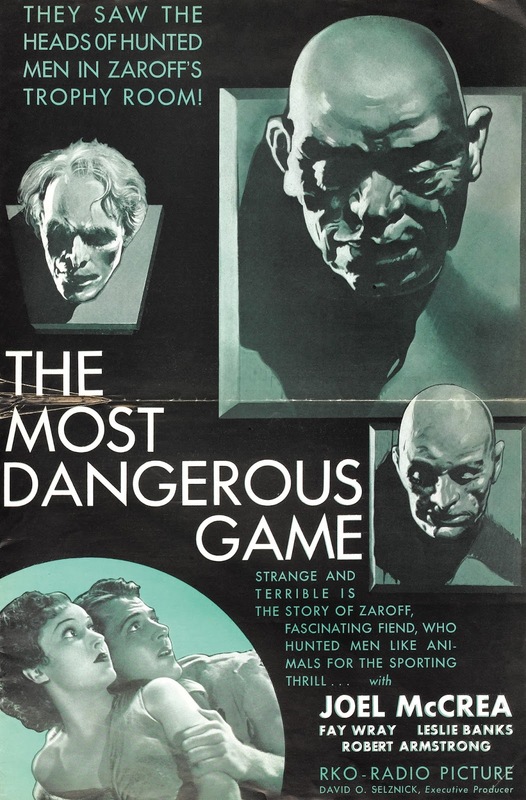 The lineup: Experimental film Rope (1948) at 8 p.m.; backstage whodunit Stage Fright (1950) at 9:30 p.m.; public transportation thriller Strangers on a Train (1951) at 11:30 p.m.; religious drama I Confess (1953) at 1:30 a.m., and 3-D film Dial M for Murder (1954) at 3:30 a.m.
Must watch: Strangers on a Train. Hitchcock's purest foray into the noir genre features a never-better Robert Walker as a man who commits murder on a quid pro quo basis. 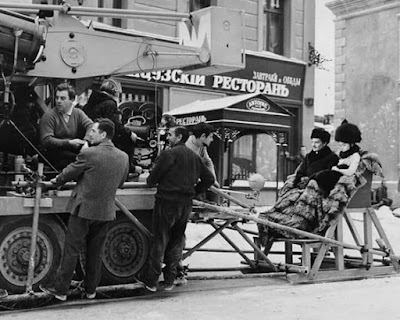 Watch for bravura scenes involving a pair of glasses and a wildly spinning Merry-go-round. Also worth your time: Rope is both a fascinating attempt to make a film in real time, and a dark journey into the heart of two amoral young men (John Dall and Farley Granger). Stage Fright is a fun Agatha Christie-style whodunit that features great performances from Jane Wyman, Hitchcock's daughter, Patricia, and Marlene Dietrich. If you want to see Hitchcock handle a musical sequence then watch him direct La Dietrich while she throatily warbles "The Laziest Gal in Town." Underrated gem: I Confess, about a young Canadian priest (Montgomery Clift) who hears a confession to murder, is the only film to deal overtly with Hitchcock's Catholic faith. This film is also notable for its location shooting in Quebec City. Dud: Dial M for Murder is worth a watch if you haven't seen it before, but it's still a rather creaky thriller whose only reason for existence is Hitchcock's desire to experiment with 3-D visuals. 50 Years of Hitchcock Friday: Tonight features four of Hitchcock's mid-fifties offerings. 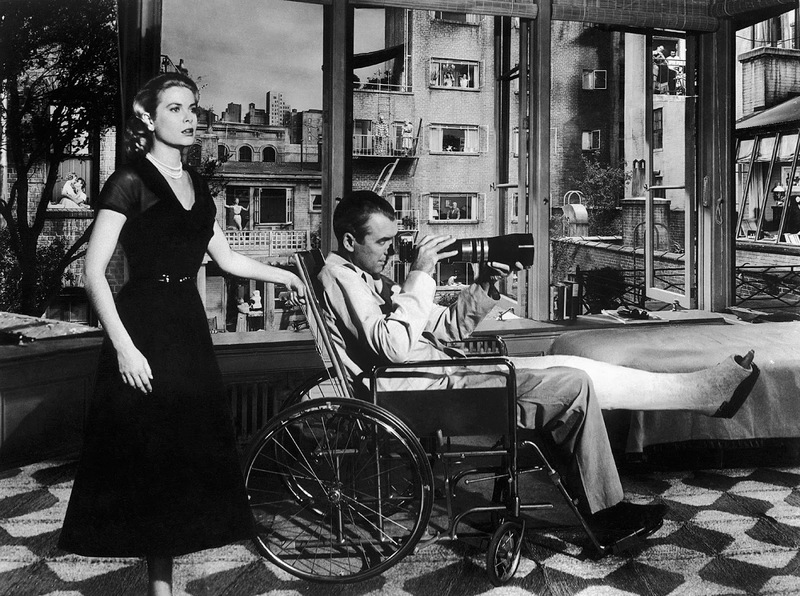 Lineup: Apartment-dwelling thriller Rear Window (1954) at 8 p.m.; black comedy The Trouble with Harry (1955) at 10:15 p.m.; family vacation thriller The Man Who Knew Too Much (1956) at 12:15 a.m., and true crime story The Wrong Man (1956) at 2:30 a.m.
Must-sees: Rear Window successfully established the Hitchcock style in the minds of average moviegoers and kicked off the most successful period in the director's long career. Also worth your time: The Man Who Knew Too Much. Hitchcock's remake of his own 1934 film features a bravura scene inside Royal Albert Hall (be on the lookout for composer Bernard Herrmann, a frequent Hitchcock collaborator). Underrated gem: The Trouble with Harry is a breezy Weekend at Bernie's style black comedy that features gorgeous New England scenery and Shirley MacLaine in her film debut. Hitch's only collaboration with Henry Fonda was in the true crime film The Wrong Man. Filmed in a spare, semi-documentary style, it's about a New York City musician who is wrongly accused of murder. Omar Sharif and Geraldine Chaplin film a scene from Doctor Zhivago (1965). Three daytime picks: The theme is the wild West starting with Western comedy Way Out West at 6:30 a.m. (TCM's programming schedule makes it unclear whether this is the 1930 pre-code romp starring William Haines or the beloved 1937 classic starring Stan Laurel and Oliver Hardy, so I guess you'll have to tune in to find out). Next, Eddie Albert plays an Eastern tenderfoot who finds his courage in The Dude Goes West (1948) at 12:45 p.m. Finally, John Ireland, Joanne Dru, and Darryl Hickman join up with a wagon train led by camels (!) in the 3-D oater Southwest Passage (1954) at 5:15 p.m.
Prime time lineup: TCM is airing a night of movies starring Geraldine Chaplin. The prime time selection is director David Lean's Russian Revolution epic Doctor Zhivago (1965) at 8 p.m. in which Chaplin has her best-known role as the title character's long-suffering wife. 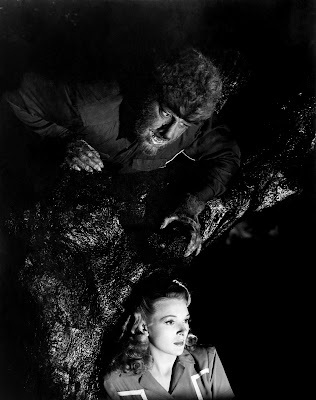 Late night pick: Chaplin plays the French queen in the 1973 version of the oft-filmed The Three Musketeers at 11:30 p.m.
Lon Chaney, Jr., and Evelyn Ankers in The Wolf Man (1941). Three daytime picks: The theme is horror movies about beastly transformations starting with the silent version of the oft-filmed Dr. Jekyll and Mr. Hyde (1920) at 7:15 a.m. (this time it's John Barrymore's turn to change from Victorian scientist to semi-human brute). No day of horror movie transformations would be complete without Lon Chaney, Jr., as an English lord who can't resist the urge to howl at the moon in The Wolf Man (1941) at 9:45 a.m. Finally, Hurd Hatfield's portrait ages but he doesn't in the atmospheric Victorian chiller The Picture of Dorian Gray (1945) at 2:30 p.m.
Prime time lineup: Tonight's lineup is devoted to movie adaptations set in the American South starting with private eye Paul Newman investigating small-town corruption on the Louisiana bayou in the neo-noir The Drowning Pool (1975) at 8 p.m. Ode to Billy Joe (1976) at 10 p.m., about a scandal that becomes too much for one Mississippi boy to bear, is based on the 1967 hit song by Bobbie Gentry. Late night pick: Director John Huston's adaptation of Southern writer Flannery O'Connor's Gothic novel Wise Blood (1979) at 4:15 a.m. was filmed in and around the author's Georgia hometown. Prime time: See the "50 Years of Hitchcock Wednesday" section. Late night pick: See the "50 Years of Hitchcock Wednesday" section. Three daytime picks: A birthday tribute to actor Natalie Wood who was born Natalia Zakharenko on July 20, 1938, in San Francisco. She started acting as a child and teenager in films like director John Ford's Western The Searchers (1956) at 6 a.m. She later went on to become one of the top stars of the 1960s in films like the travelogue The Great Race (1965) at 12:30 p.m. and the Hollywood expose Inside Daisy Clover (1966) at 3:30 p.m.
Prime time lineup: TCM's July star of the month is leading man Ronald Colman. Tonight's lineup features some of his best costume dramas starting with the Charles Dickens adaptation A Tale of Two Cities (1938) at 8 p.m., which finds Colman as an English lawyer who gets caught up in the French Revolution. Colman takes on a dual role in the great swashbuckler The Prisoner of Zenda (1938) at 10:30 p.m. as a vacationing Englishman who looks just like the new king of Ruritania. Late night pick: Both the Colman-Marlene Dietrich Arabian nights tale Kismet (1944) at 12:30 a.m. and the comedy Lucky Partners (1940) at 2:30 a.m. are well worth staying up late for. In the second film Colman and Ginger Rogers play strangers who win a large sum of money together. 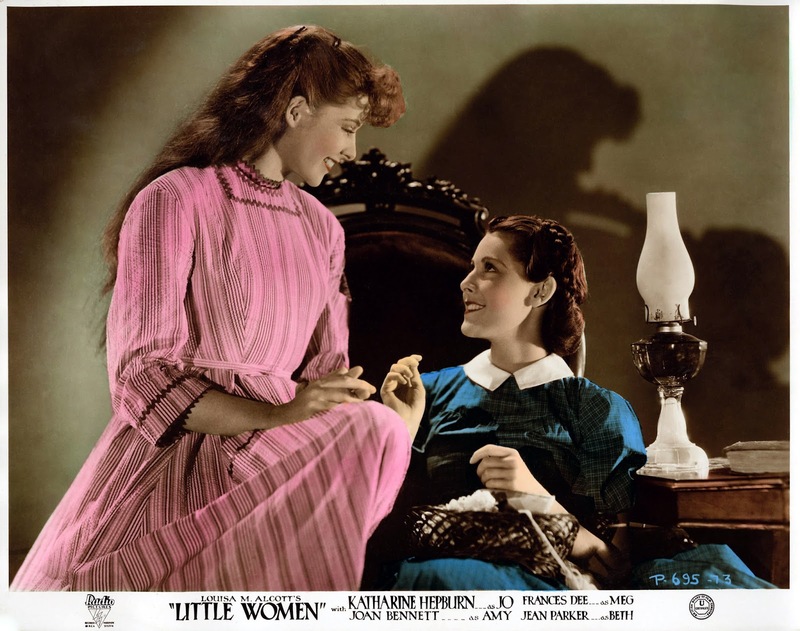 Three daytime picks: The theme is movies about large families starting with the triumphs and tragedies of the March sisters in the 1933 version of Little Women at 6 a.m. followed by the Pontipee brothers trying to find partners in the rollicking musical Seven Brides for Seven Brothers (1954) at 11:30 a.m. In the seafaring adventure Captains Courageous (1937) at 5:45 p.m. neglected rich kid Freddie Bartholomew finds a substitute family on a Portuguese fishing vessel. Prime time lineup: See the "50 Years of Hitchcock Friday" section. Late night: See the "50 Years of Hitchcock Friday" section. The Essentials series continues at 8 p.m. with new host Alec Baldwin. He will be joined by his former 30 Rock costar Tina Fey to discuss the backstage drama All About Eve (1950) at 8 p.m. followed by two more films featuring Bette Davis playing actresses: The old Hollywood legend plays a boozing actress who is trying to make her big comeback in The Star (1952) at 10:30 p.m. (this is the movie where Davis' character drunkenly drives around Hollywood with her Oscar on the dashboard). Next, Davis plays child star turned sister tormentor in the horror classic Whatever Happened to Baby Jane? (1962) at 12:15 a.m.
TCM's prime time lineup is all about movies featuring collaborations between director George Cukor and actor Judy Holliday. In It Should Happen to You (1953) at 8 p.m. Holliday plays a rustic from Binghamton, N.Y., who decides to get her shot at the big time by plastering her face on a New York City billboard. In The Marrying Kind (1952) at 10 p.m., Holliday and Aldo Ray go from newlyweds to divorce court.